Today we talk about the Apple event and the new iPhone and iWatch release. The entire event was leaked in advance but it does not matter to Apple. On the week of an Apple, the event the tech news is always slow. We compare fitness trackers. We talk about buying tech on a budget and much more….. Does mesh networking work ok? What is a good cheap affordable smartphone? What is a good cheap affordable fit band? Why use Leanpub for the book? 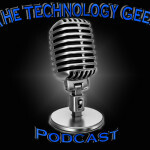 To Support Todays Show Visit Tech Geek Deals for the best deals on tech every sale helps support the work we do on The Technology Geek.